Our team is working with top chefs at the world's most premier hotels to source high-quality, sustainable seafood. Hotel chains are among the largest buyers of seafood on the planet so our team is working with an organized group of the world’s most recognized hotel brands to improve their process of procuring seafood, along with helping them source in ways that are more sustainable, responsible and profitable. Hotels, retailers and caterers (HORECA) and those that buy food from or dine within them, are significant consumers of seafood. Some major hotels and integrated resorts consume over one ton of seafood and feed as many as ten thousand staff meals in a single day. Thus the choices of which type of seafood they purchase can have a profound effect on the state of world fisheries. If they purchase seafood from poorly managed fisheries, populations of the fish and shellfish from those fisheries, targeted or untargeted, could decline and/or the habitat they live in be damaged. Seafood sustainability is also a relatively new and very challenging concept - even for seafood professionals and the procurement experts at these hotels. Just understanding the species being caught, both for consumption and in the process, can be difficult. For example, for beef there are multiple breeds but only one genus and species - Bos taurus. Contrast that with seafood where the FAO database has more than 12,700 species of seafood that are consumed on the market. To help tackle some of these challenges the Sustainable Seafood Dining Working Group (SSDWG) was established by the South East Asia and Hong Kong chapter of the Marine Stewardship Council (MSC) - an independent non-profit organization that sets standards for sustainable fishing. The goal of the working group is to bring together hoteliers and restaurateurs to collaboratively make valuable contributions towards transformative change in the way they engage consumers to create more demand for sustainable seafood. In working with SSDWG, our marine science and sustainability experts are helping members to better understand what seafood they are consuming, and how they can map their consumption trends by gathering, organizing, categorizing and analyzing their data. Within this group several of the world’s most recognized hotel brands provided their consumption data in order for our team to analyze their current purchasing data and recommend changes that could lead to more organized purchasing, and more sustainable seafood procurement. Additionally, our team members provided these hotels with a database and a basic overview of how better to categorize their data, and what information to be asking for from their suppliers. During this process the data would often reveal that hotels do not categorize their seafood down to an adequate enough level that could support any claims that the seafood is coming from well managed, sustainable fisheries. Indeed without knowing the country of origin, the fisher or farmer etc. there is no way to tell if the seafood is coming from Illegal, Unreported or Unregulated (IUU) sources or not - a significant risk to the brand reputations of these organizations. The example below reveals not only a lack of information but also that even for the information that is entered it is of very limited use as it cannot be easily extracted for analysis. Once entered into the database members can see what they are consuming to a greater degree of precision and accuracy. 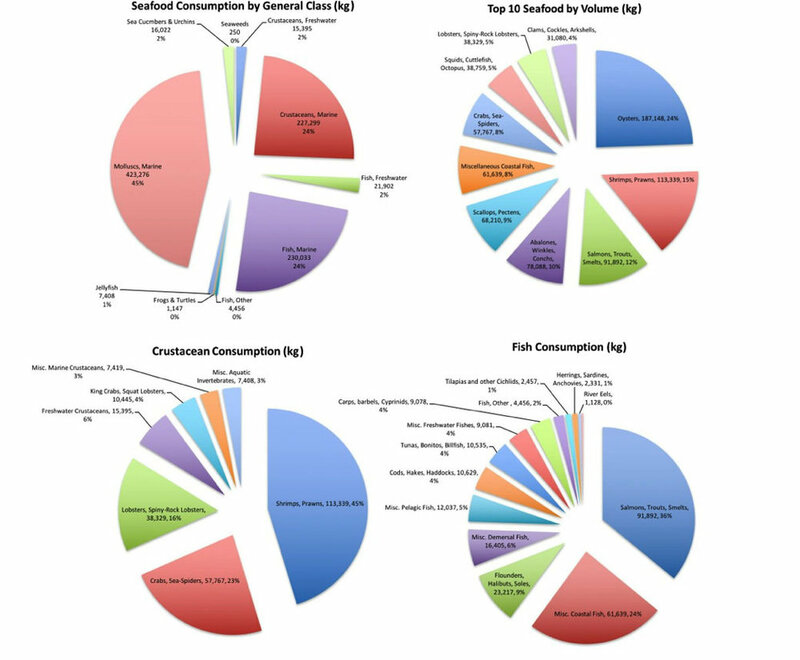 The database provided many more fields such as fishing gear, boat type, captain, farming type, product specifications, and more to not only give a better understanding of the sustainability of a particular seafood item, but also to understand how members could assess and improve their purchasing performance. As a result of these basic, and in some cases customized services, the hotels involved were not only able to better understand the costs and potential risks from their supply chains, but also to source more sustainable seafood with the assurances to their customers that can only come from understanding the origin of their product.